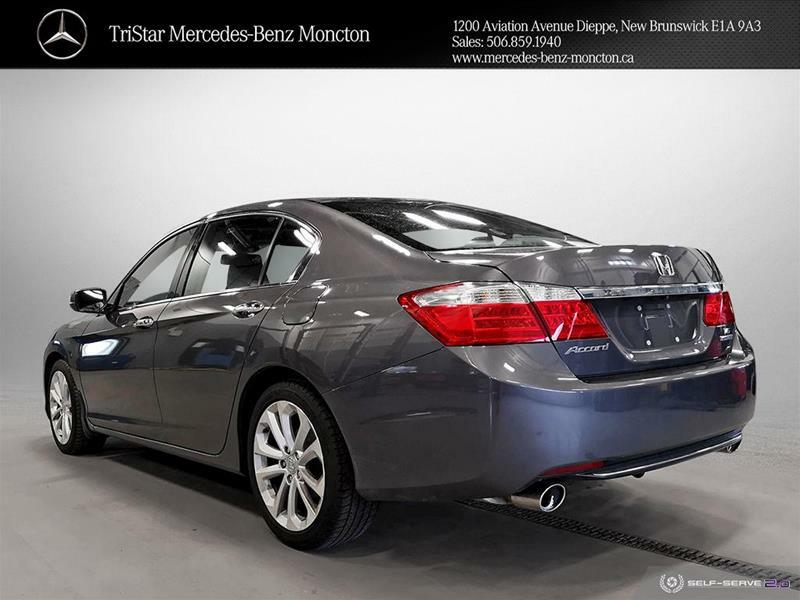 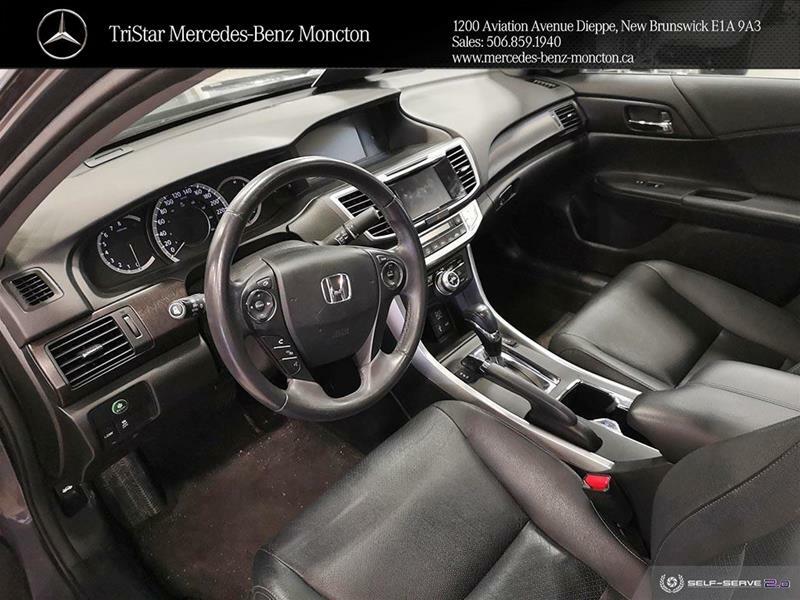 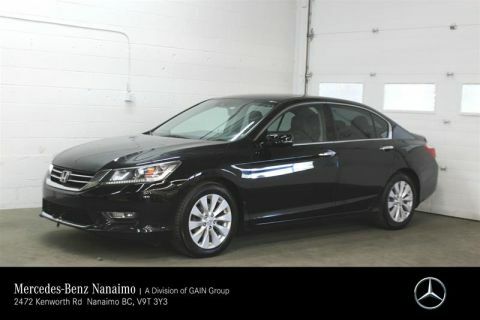 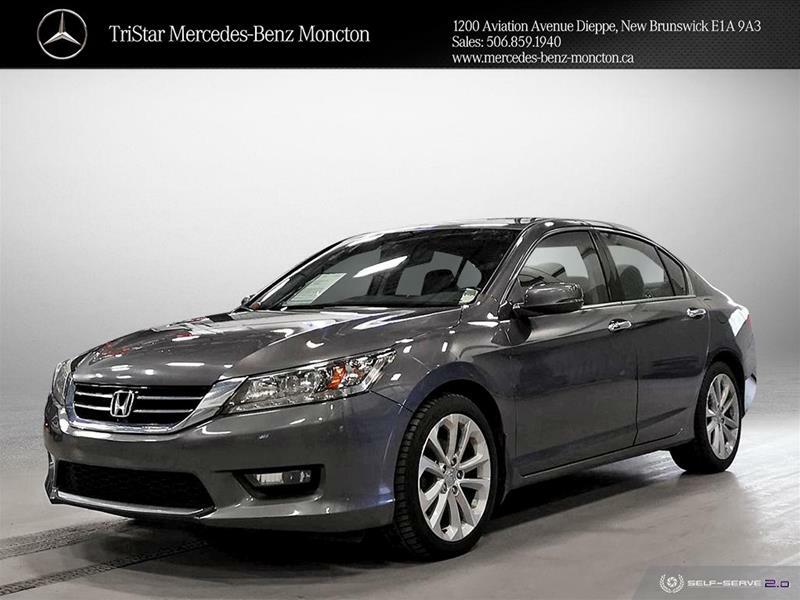 *** SAFETY CERTIFIED PRE-OWNED *** WARRANTY, NO ACCIDENT, TOURING V6 This Honda Accord Touring V6 come with Navigation, Backup camera, Bluetooth, Leather Seats, Heated seats, Sunroof, Push Start, memory power seats, automatic climate control, and much more. 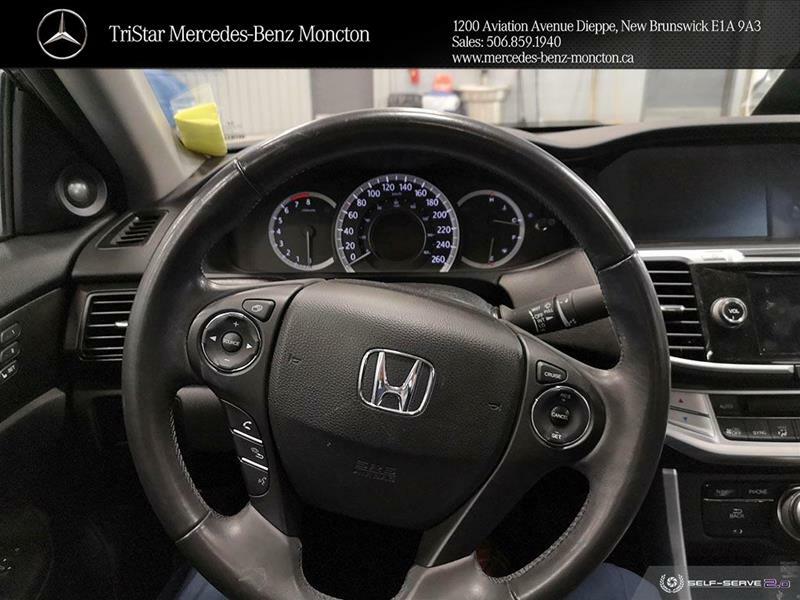 this Honda Accord 3.5L V6 SOHC 24-valve 278Hp with a fuel economy of 5.7L/100km Hwy, the remaining manufacture warranty is 5 years/100,000km powertrain. 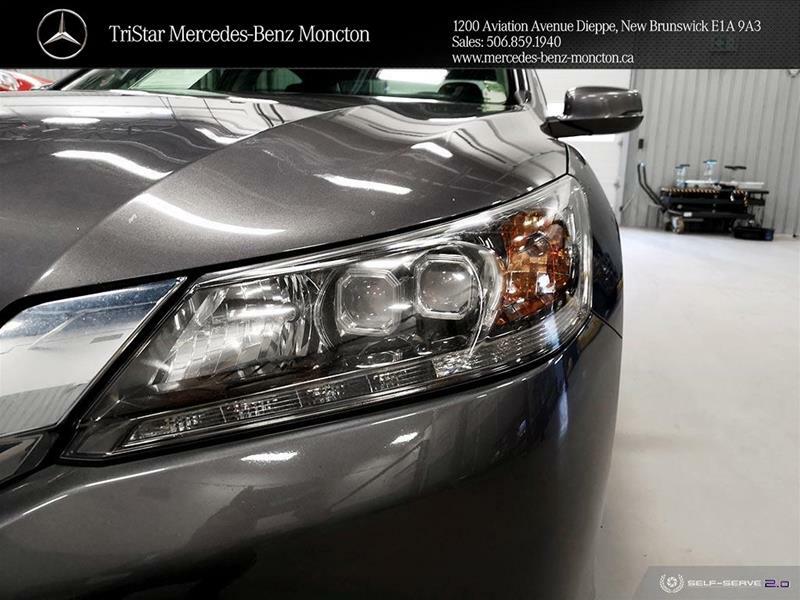 All of our vehicles are meticulously reconditioned, professionally detailed and priced to sell. 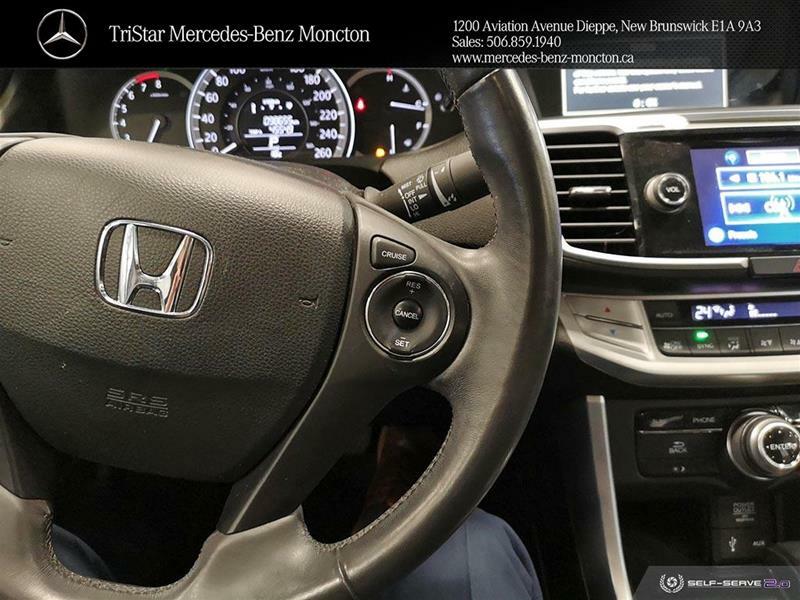 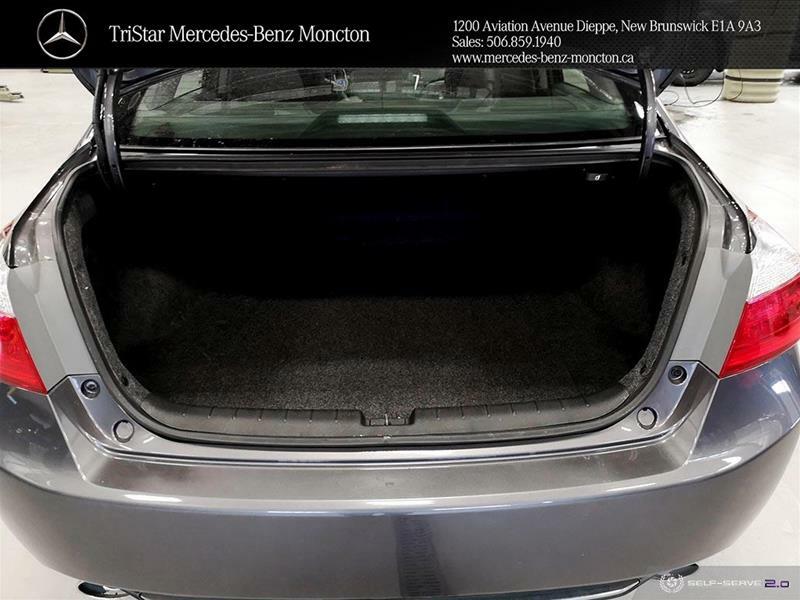 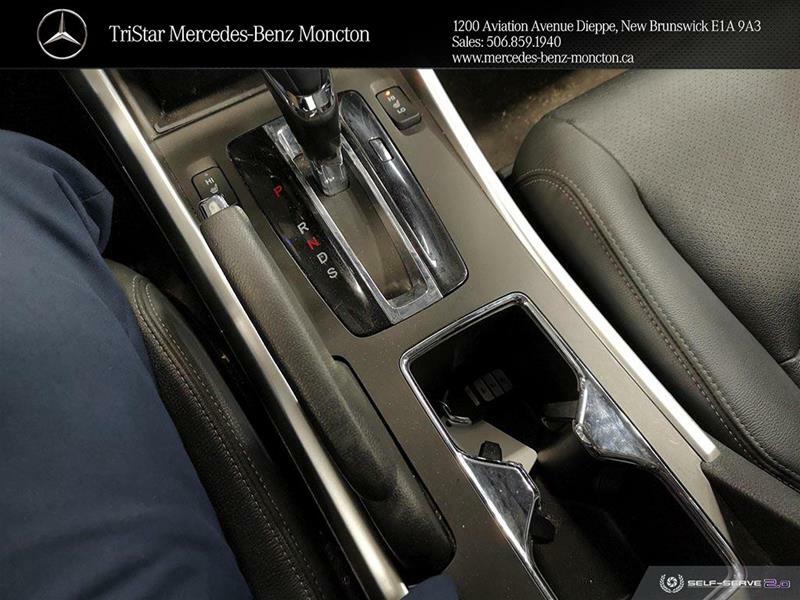 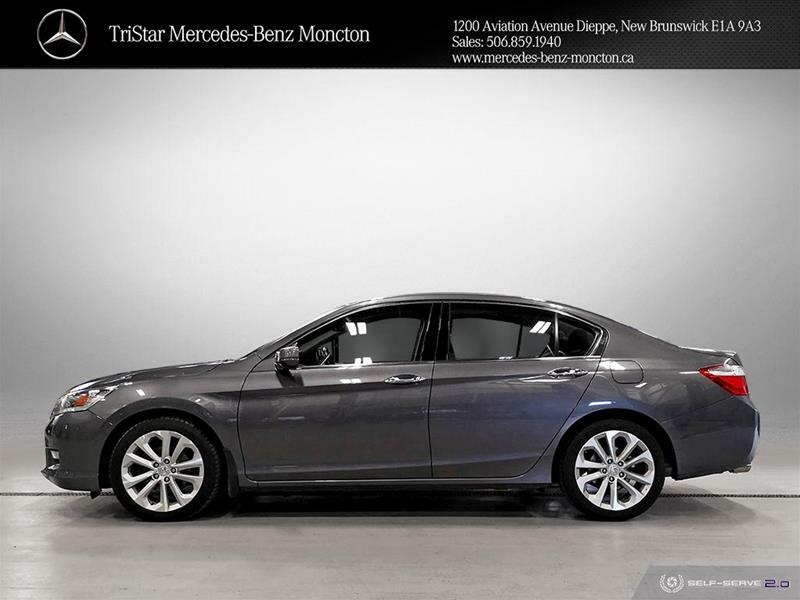 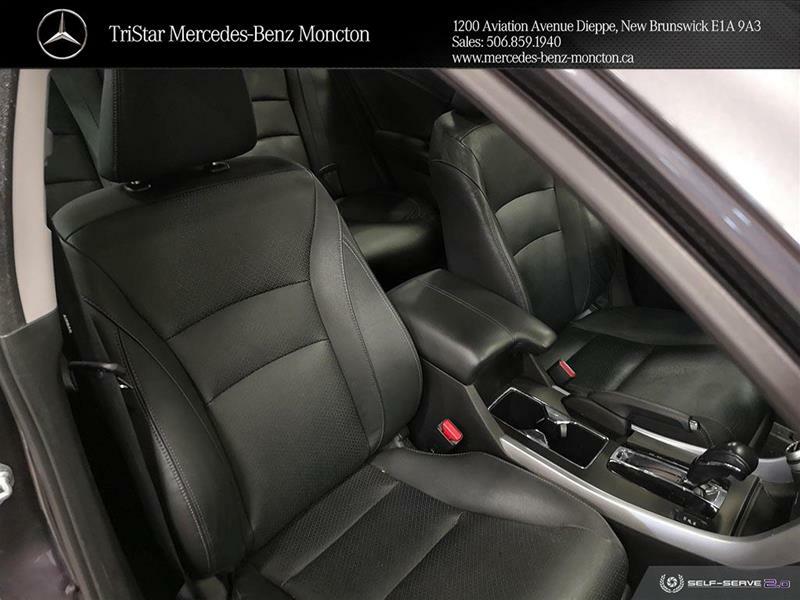 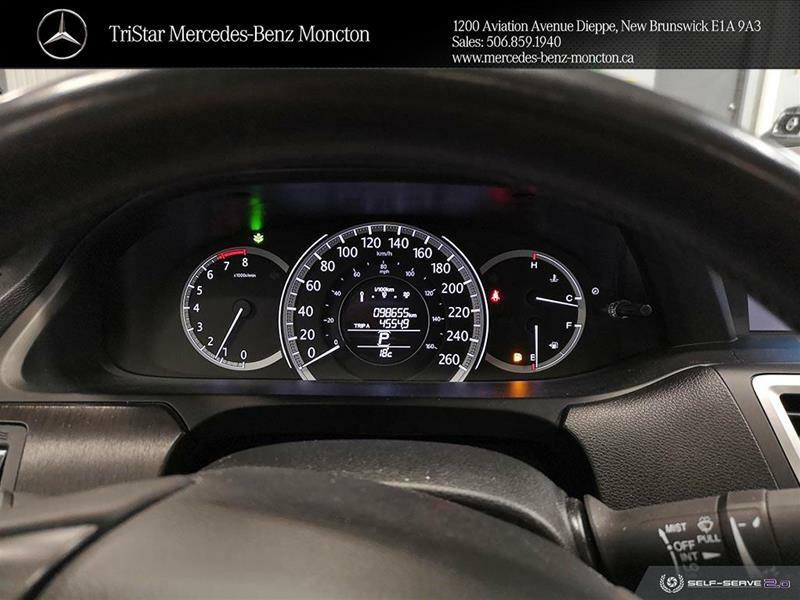 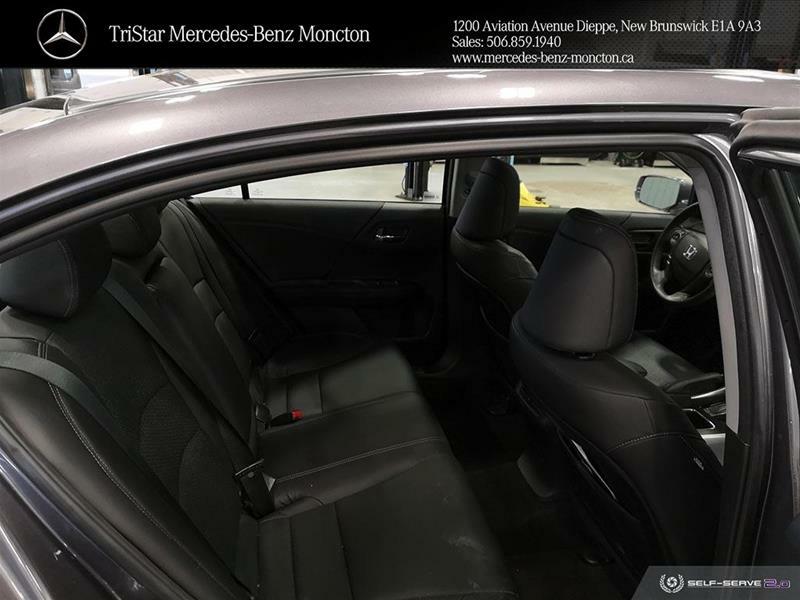 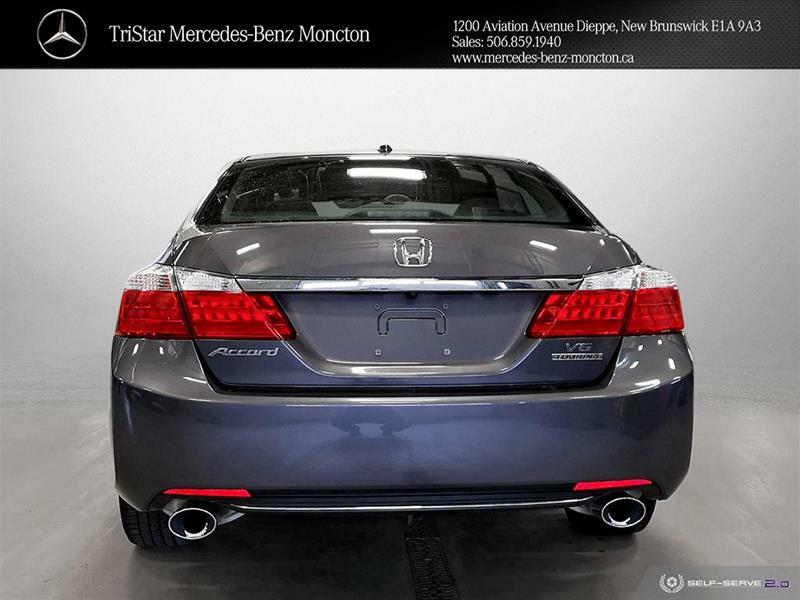 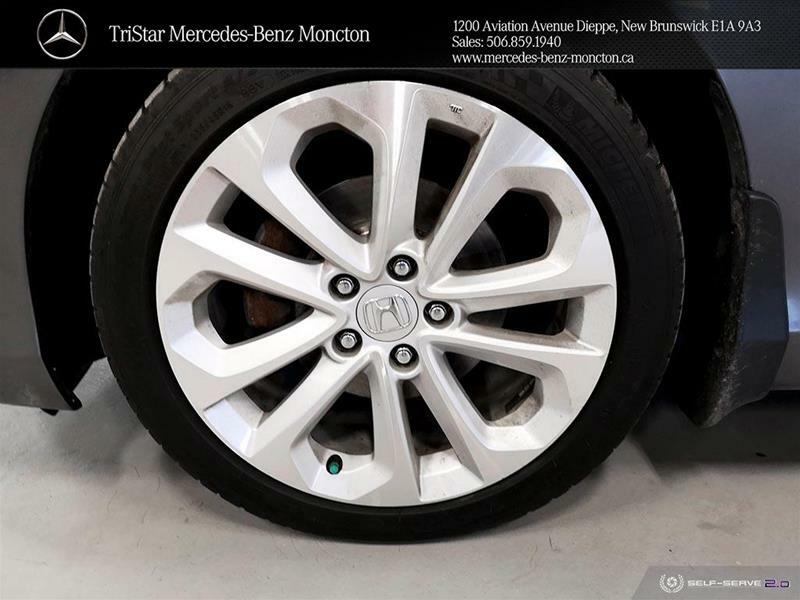 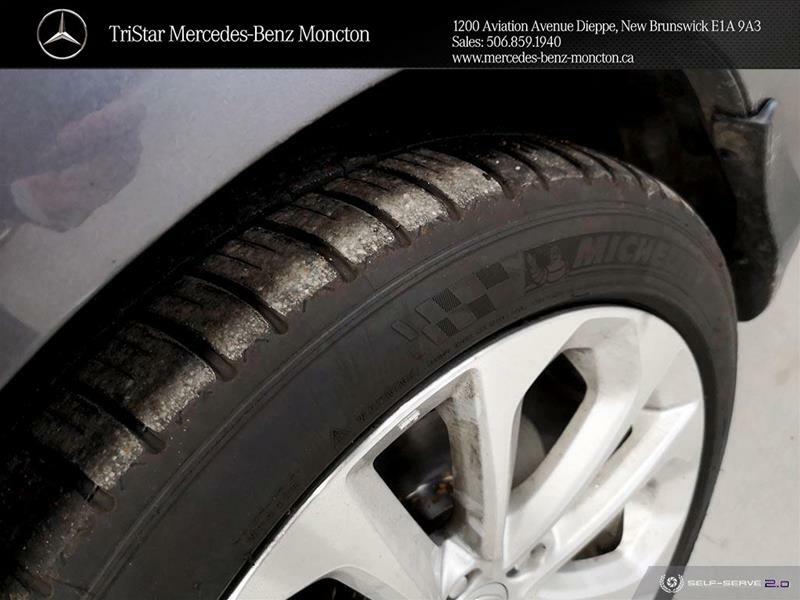 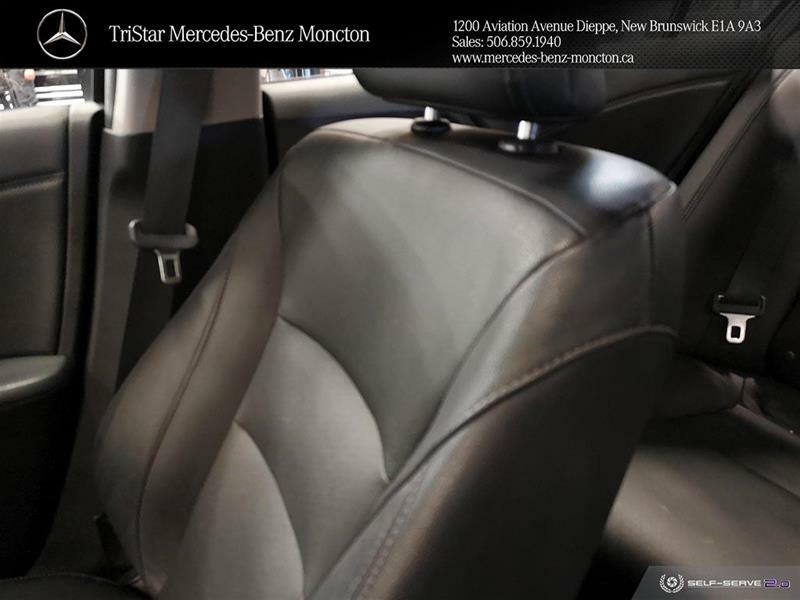 Please call Tristar Mercedes-Benz 506-859-1940 or visit our web site www.mercedes-benz-moncton.ca for more details. 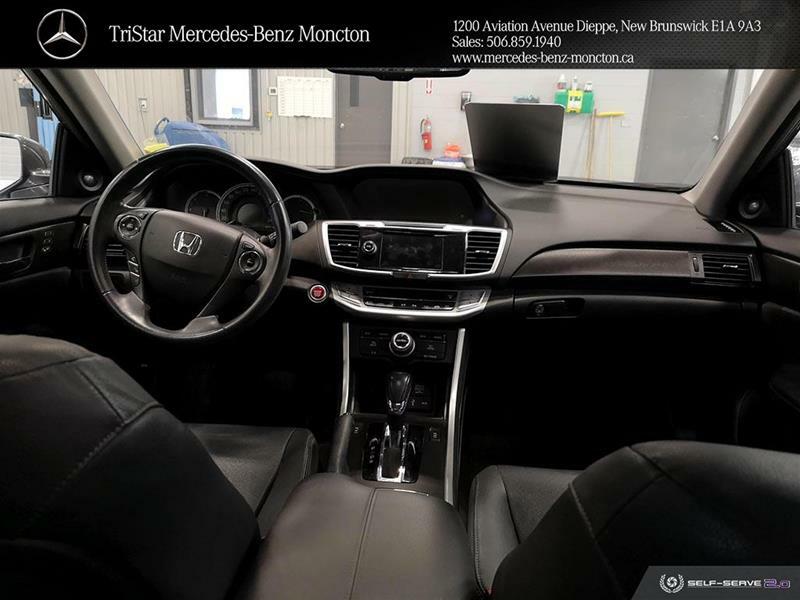 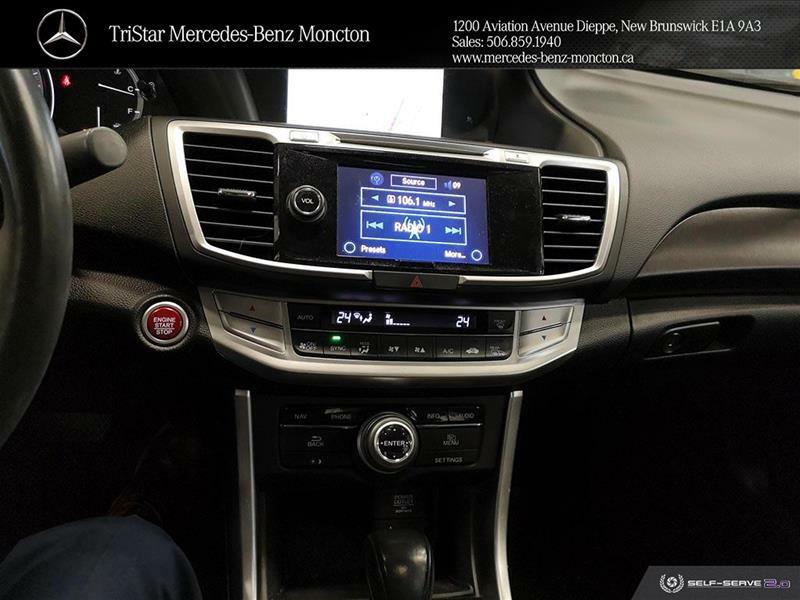 La Honda Accord Touring V6 inclus une camera de recul, systeme de Navigation, Bluetooth, Sieges en cuir, Sieges Chauffant, Control de climat automatique, Toit ouvrant, Bouton demarrage, siege electrique avec memoire et encore plus! 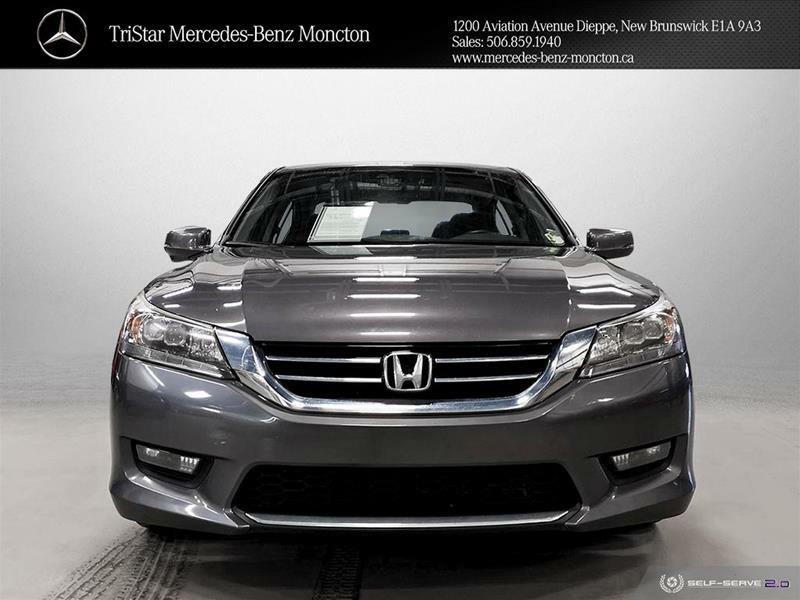 La Honda Accord 3.5L V6 Cylindre a 278Hp avec une consommation d’essence de 5.7L/100km autoroute, Balance de la garantie du manufacturier 5ans/100,000km garantie pieces majeures. 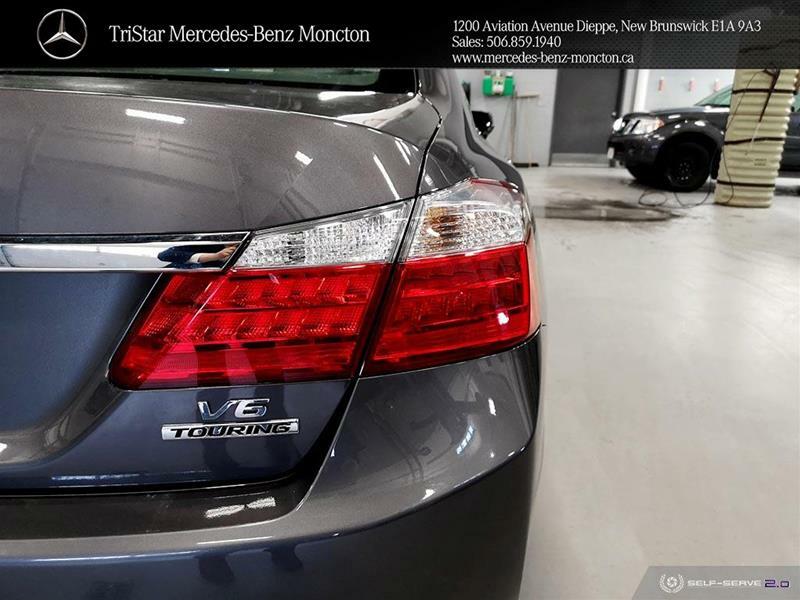 Tous nos Vehicules sont meticuleusement reconditionnes, professionnellement detailles et vendus au meilleur prix du marche. 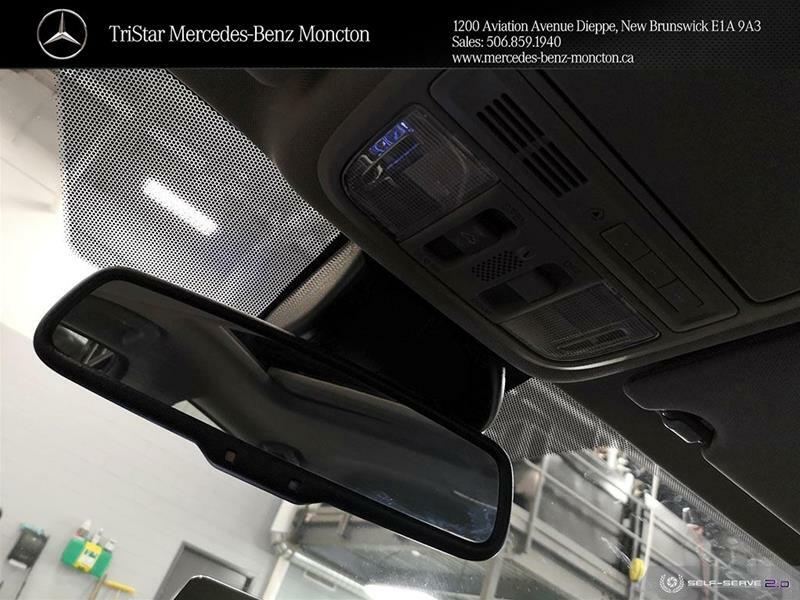 Veuillez appeler Tristar Mercedes-Benz 506-859-1940 ou visite notre site web www.mercedes-benz-moncton.ca pour plus de details.